"Old photos, possibly taken over 80 years ago, hide in their 'scars' the story of Cyprus. Our story. These photos we can literally touch." This is the message artist Con Emmanuelle wants to put across, with his uniquely vibrant and emotionally charged exhibition, entitled 'Tales of Cyprus'. The vintage photographs, video testimonies, posters and paintings exhibited show a Cyprus before 1950. That very Cyprus is what Con's family and friends left behind to migrate to Australia. The idea that instigated the project hit him while he was walking in a shopping centre and stumbled upon a family. They were all devouring their junk food silently while scrolling down on their mobile phones, almost cut off from the outside world - estranged even from one another. As he was observing the family he began to wonder what ever happened to the authenticity and spontaneity of human relationships? He started thinking about the life span of all these digital memories which get 'buried' under the constant status updates of our timeline. Thousands of photos can be stored in the memory of a mobile phone, yet they can be erased with a single touch. "That scene in the food court had a profound impact on me," he tells Neos Kosmos. "Later that day I went to visit my father and told him about my food court experience. 'E bellanen o kosmos' (the world's gone mad) my father muttered to me. My father and I then spoke for over an hour comparing the past to the present. A week later I returned to interview and record my father's stories and memories of Cyprus. An idea had formed in my head." Con started going through the story of his own family. 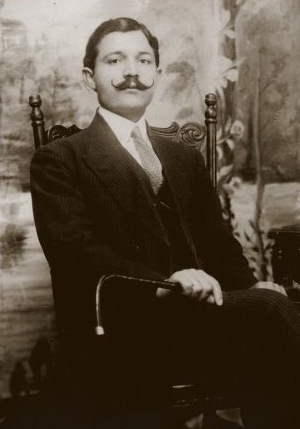 His work started as an individual journey but soon it turned into one of the most important documents on the history of Cyprus before 1950, and the Greek Cypriots of the diaspora. The artist documented his parents', relatives' and friends' stories on video. Then he managed to collect numerous vintage original photographs of the period prior to 1950, creating a file that provides information on the socioeconomic status of the Cypriots, the effect of migration on both the migrants and the Cypriots who stayed behind. Con's photographic file is a very important database on Cyprus' cultural history. When he realized the importance of his research, he appealed to the Greek Cypriots of Australia, asking them to share their own migration stories, their own Cyprus, their own original photographs. "As I travelled across Melbourne with my laptop and scanner I discovered that many families only had poor quality reproductions of any original photographs," he reveals. "When I asked about the originals, I was often greeted with reservations as to their whereabouts but sometimes an admission would be made that a sibling had taken them and was unwilling to share with others. "My decision to bring my scanner to the homes of the diaspora was also a major factor in establishing trust. For example, the safety that their precious photos will not leave the family home." Many people were curious and perhaps understandably cautious when Con requested to scan their originals. Once he explained that he was planning to showcase the beauty of the photography in his exhibition as well as develop an archive of images for future generations to enjoy, the families were more than happy to share their precious photos.